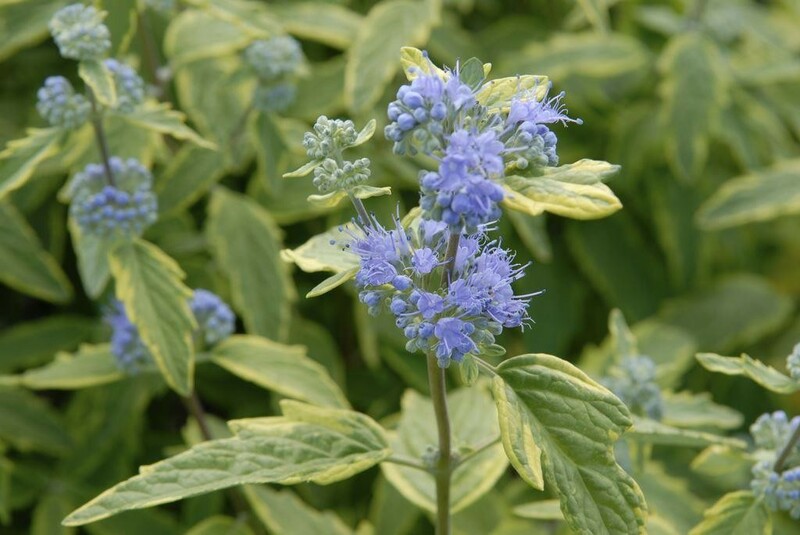 A wonderful variety with gold and green coloured variegated foliage with contrasting deep blue flowers. 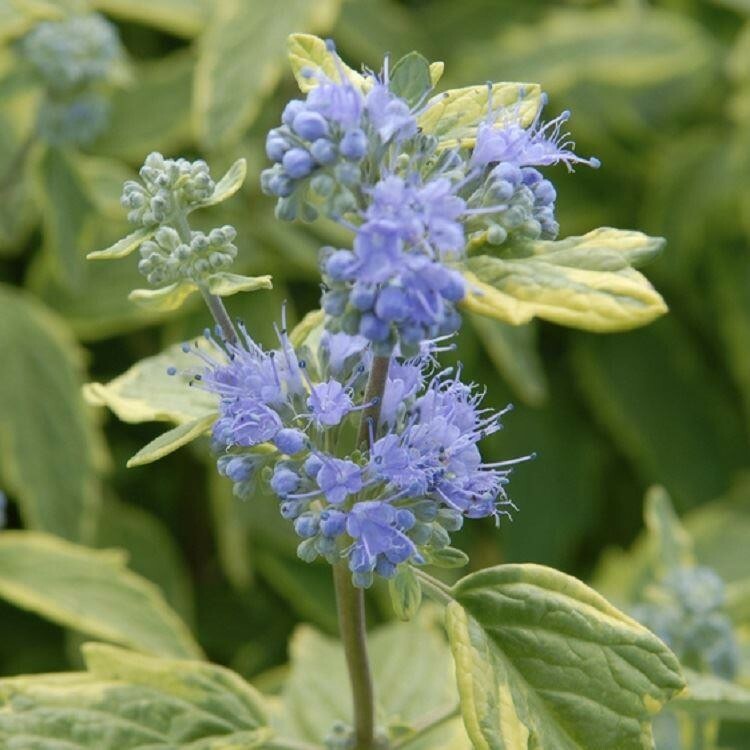 This bushy plant is covered with fragrant blooms in late summer and early Autumn, with a height and spread of 2-3ft it is perfect for a mixed shrub or herbaceous border. 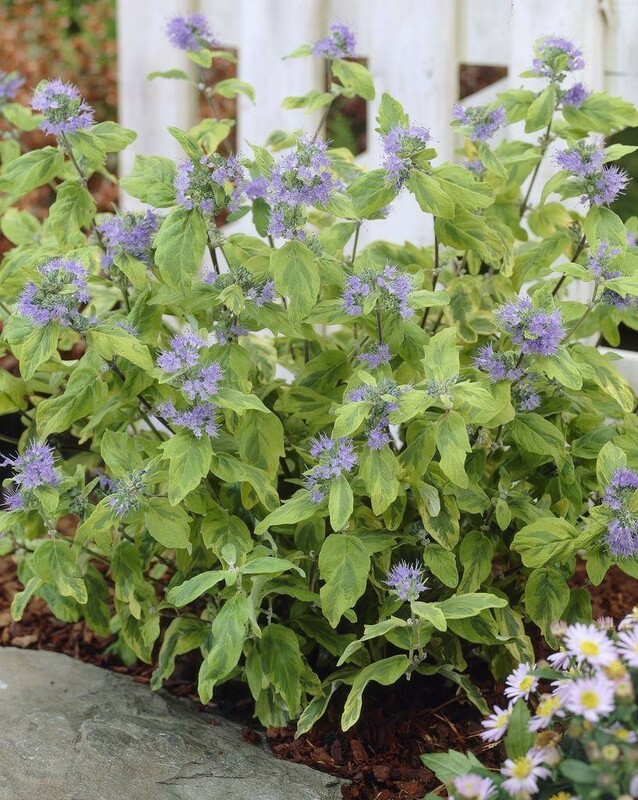 It also looks great in seasonal planters. Supplied in approx 3 litre containers.